Here are the details for the current closure of Tower Bridge. The closure of this bridge is placing a massive strain on the other river crossings. Let’s hope they get the work done and re-open on time. The City of London Corporation are planning essential major maintenance works to Tower Bridge. The work will require a full closure of the bridge to all vehicle and cyclist traffic for three months. The closure will be in place 24 hours a day, 7 days a week from Saturday 1 October to Friday 30 December 2016. 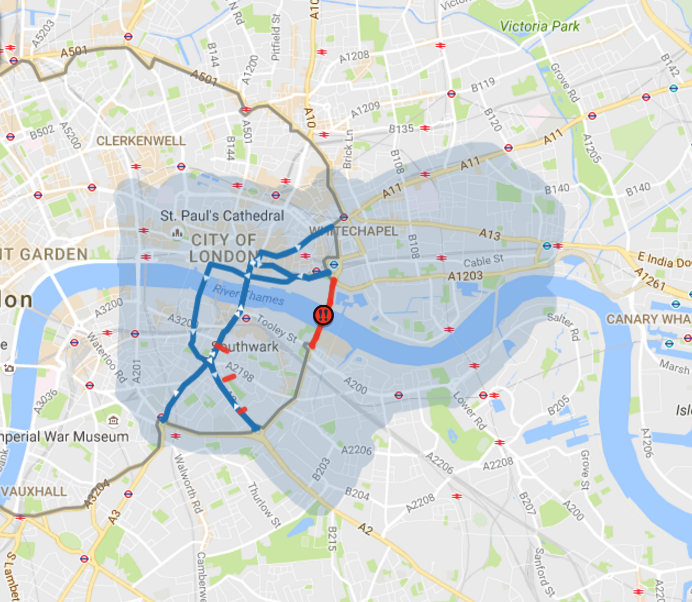 As part of our open data policy, we’re releasing a full data set of the closure to allow developers to easily incorporate this data into their apps, helping Londoners to plan their journeys while the works are ongoing. The City of London will be carrying out essential maintenance on Tower Bridge. Full details of the closure are in our data set. Posted by Mr. Bloggy on 30/09/2016 in News.